While based in Salta in northwestern Argentina we took two guided tours. The first was to Cafayate and other locations in the central Calchaquies Valley.The wide, flat valley floods seasonally and leaves soft creamy greens hanging onto the last drops of moisture to await the next rainy season. At Garganta del Diablo, Devil's Throat Canyon, we watched shadows play on the walls and marvelled at the scale. (Watch for these scenes to appear in future paintings.) A couple days later we visited Jujuy Province and the towns of Purmamarca, Uquia, and Humahuaca. Our driver, Federico Teruel, has many talents, including crafting artisan knives or "cuchilleria artesanal", and explained that knives are an essential part of the gaucho culture in the Salta region. 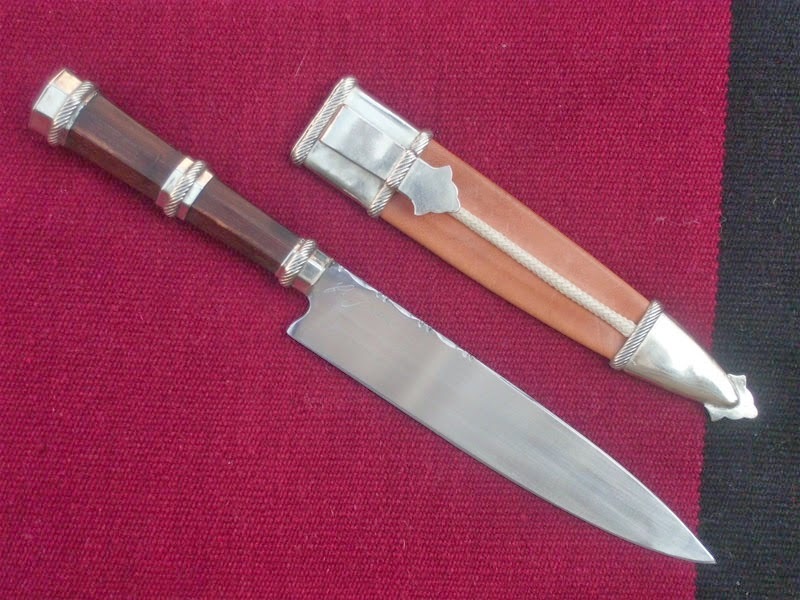 There are two main styles: the salteno dagger is shorter and used for everyday purposes, whereas the longer, more decorative facon criollo is used ceremonially. An annual parade of 2,000 gauchos in Salta every June 17 commemorates General Martin Miguel de Guemes, whom I wrote about in a previous post. Many people in Salta are proud to be part of the gaucho culture that is an important part of the military history of Argentina. It's always pleasant to meet other artists when I travel, and if you check out Federico's website you'll see he is a master of his craft. That landscape behind Alan would make me crazy with joy! Crazy with joy, eh? I like it!